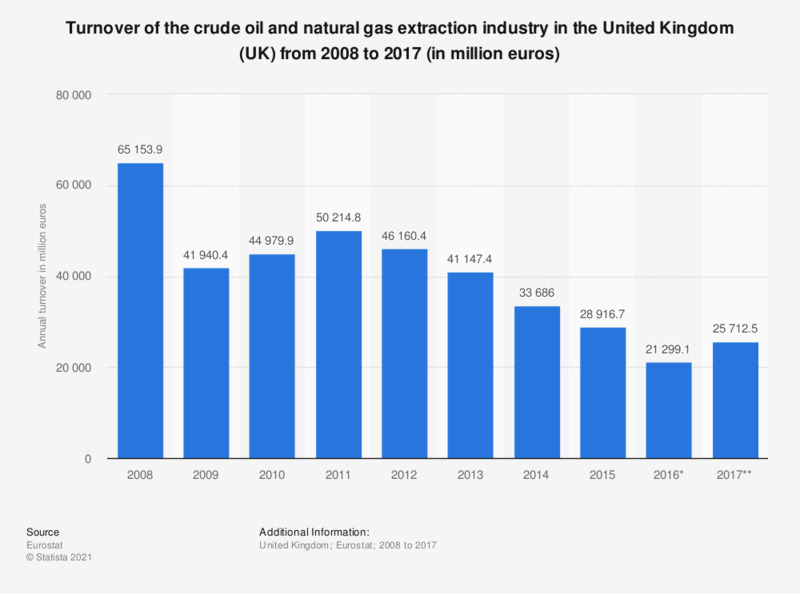 This statistic shows the annual turnover of the crude petroleum and natural gas extraction industry in the United Kingdom (UK) from 2008 to 2016. In 2016, the extraction of crude petroleum and natural gas industry produced turnover of approximately 21.7 billion euros. * Break in time series and provisional data. Data coverage corresponds to code B06 of NACE_Rev2. Everything On "The United Kingdom Continental Shelf (UKCS)" in One Document: Edited and Divided into Handy Chapters. Including Detailed References.